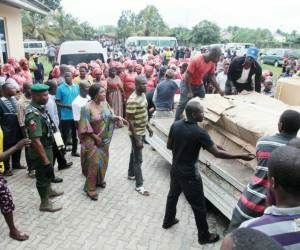 The Member representing Abua/Odual/Ahoada East Federal Constituency, Mrs Betty Apiafi has declared that Rivers State Governor, Nyesom Ezenwo Wike is the first governor in 25 years to execute mega projects in Abua/Odual Local Government Area. As part of her constituency project, Hon. 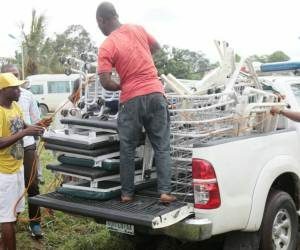 Betty Apiafi, representing Abua/Odual/Ahoada East Federal Constituency, donated hospital equipment to the General Hospital Abua, reconstructed by Rivers State Governor, Nyesom Ezenwo Wike. 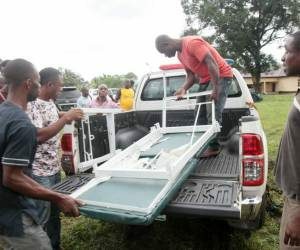 Speaking on Thursday after donating equipment to the General Hospital, Abua reconstructed by the Wike administration, Mrs Apiafi commended the governor for bringing healthcare close to the people of Abua/Odual Local Government Area. The Federal lawmaker also expressed happiness that Governor Wike is constructing a N2billion road in the Local Government Area. She said: “The Executive Governor of Rivers State decided to reconstruct and rehabilitate 13 General Hospitals in the state, and General Hospital Abua was one of them. You can see that the reconstruction of the hospital is really beautiful”. 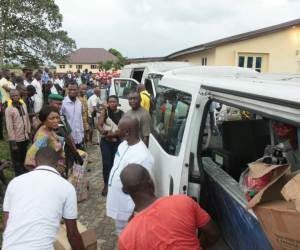 The House of Representatives member stated that she resolved to equip the General Hospital Abua as part of her constituency project and support for the efforts of Governor Wike to transform the area. She said, “I felt my little contribution to support the work the governor is doing in terms of infrastructural and human capital development is to equip this hospital as part of my constituency project”. “This is to ensure our people get quality healthcare. For this Local Government Area, Gov. Wike is the first governor in 25years to flag off the ongoing construction of a road worth N2billion. He has also reconstructed a general hospital within two years. 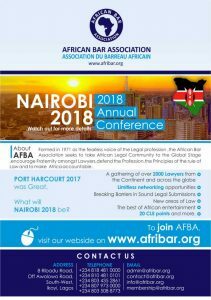 He remembered an abandoned Local Government Area, like Abua/Odual”, she said. Mrs Apiafi said that Governor Wike has performed more than the expectations of the people, adding that after a stakeholders meeting the Rivers State Governor pledged to link up the Odual section of the area by road. She also commended the Rivers State Governor for the ongoing reconstruction of selected Primary and Secondary schools in Abua/Odual Local Government Area. 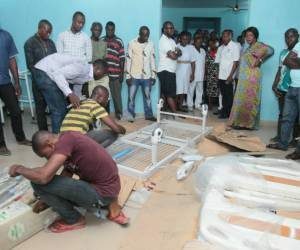 Permanent Secretary, Rivers State Ministry of Health, Mrs Caroline Walk said that the reconstruction of 13 General Hospitals in the state is a major programme to improve healthcare delivery across the state. She commended Mrs. Apiafi for equipping sections of the General Hospital, Abua as part of her constituency project. 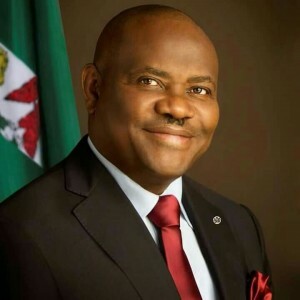 Caretaker Committee Chairman of Abual/Odual Local Government Area, Mr Oladipo Ogu said that Governor Wike deserves a second term for his projects delivery in all parts of Rivers State. He also praised the member representing Abua/Odual/Ahoada East Federal Constituency for equipping the General Hospital, Abua as her constituency project. Two women leaders in Abua/Odual Local Government Area, Asuo Ikalama and Blessing Ikata endorsed Governor Wike for a second term. They equally commended Mrs Apiafi for her equipping of the General Hospital, Abua.